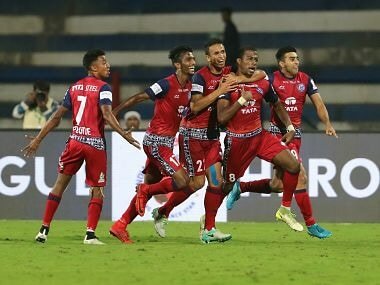 Bengaluru: Jamshedpur FC scored from a stoppage time penalty as they beat Bengaluru FC 1-0 in an entertaining Indian Super League match. 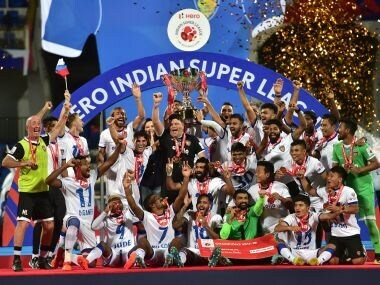 Brazillian Matheus Trindade Goncalves sent Bengaluru goalkeeper in the wrong direction in the first minute of the stoppage time to score the only goal of the match to the stunning silence of the home crowd at Sree Kanteerava Stadium. The visitors won the penalty after Rahul Bheke brought down Sameegh Doutie inside the box in a tussle for the control of the ball. Bengaluru thus tasted their back-to-back home defeat though they still remained at second place with 12 points. With the win, Jamshedpur jumped to sixth place with nine points. 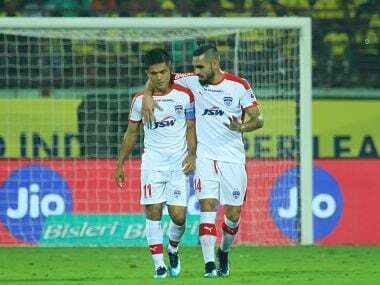 The first half was scrappy as Jamshedpur played a rather defensive game as compared to Bengaluru who aimed at the rival's net on several occasions. Both teams went into the break goal-less but returned with an aggressive approach, constantly attacking each others box. Jamshedpur went on the offensives with a couple of moves but Gurpreet Singh fended off the danger twice off Farukh Choudhary and Bikas Jairu in the 54th and 55th minute. Jerry Mawhmingthanga got into the box and dragged a low shot that went wide off the far post of Gurpreet in the 61st minute. Bengaluru also got into the act and responded. 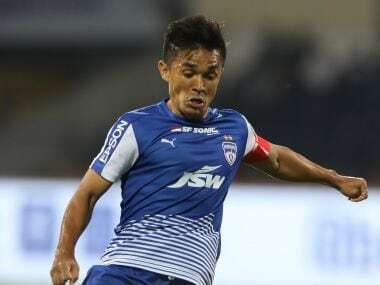 They had their best chance in the 72nd minute but skipper Sunil Chhetri could not finish it off as Jamshedpur goalkeeper Subrata Paul pulled off a fine save. Paul once again saved Chettri's close-range strike in the 77th minute with his good reflexes. Miku could not direct the ball towards the net in the 85th minute after Nishu released it into the box. Bengaluru coach Albert Roca made few changes after the 74th minute, but to no avail. In the first half, Jamshedpur frustrated BFC, who could not convert chances into goals, despite having good percentage of ball possession. In the 19th minute, Erik Paartalu's header was dealt easily by goalkeeper Subrata Paul after Miku crossed into the centre with a lovely footwork. 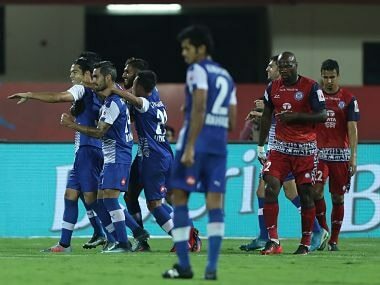 Three minutes later, Bengaluru built up pressure through Udanta Singh's lay off, which Edu Garcia picked up and tried a curling a shot into the top right corner of the net. Bengaluru could not capitalise on the absence of Jamshedpur's Mehtab Hossain who was taken off the field due to injury in the 41st minute.